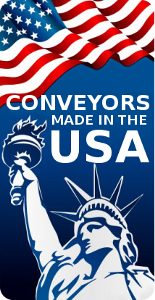 Many accumulation conveyor models are available within 24 hours! 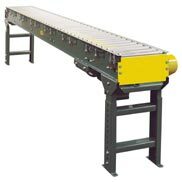 The Hytrol Model 190-ACZ is a horizontal minimum pressure accumulation conveyor. These conveyors specialize in the accumulation of items or products on a conveying line. This basic design eliminates complicated adjustments while allowing a minimum back pressure of 2%. While maintaining a constant minimum pressure on the rollers, the 190 ACZ allows long loads to be accumulated or stopped on the conveyor line. This design allows the use of minimum horsepower motors while allowing almost no pressure to be present between products. Capacity – Maximum load per linear foot, 150 lbs. Exceeding rated capacities is not recommended. 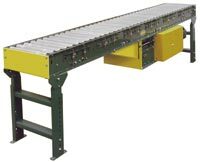 The Hytrol 190-ACC Medium Duty – Minimum Pressure Accumulation Conveyor is the simplest method ever devised for accumulating cartons, boxes, etc. Basic design eliminates complicated adjustments and allows a minimum of 2% back pressure. 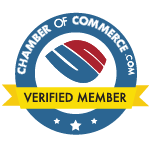 The Hytrol 138-ACC – Minimum Pressure Accumulation Conveyor is the simplest method ever devised for accumulating cartons, boxes, etc. The basic design eliminates complicated adjustments and allows a minimum of 2% back pressure.